This story is part of special IPS coverage of the World Day to Combat Desertification and Drought, observed on June 17. NEW DELHI, Jun 12 2017 (IPS) - In Meghalaya, India’s northeastern biodiversity hotspot, all three major tribes are matrilineal. Children take the mother’s family name, while daughters inherit the family lands. The importance of protecting the full spectrum of women’s property rights becomes even more urgent as the number of women-led households in rural areas around the world continues to grow. Legal protections for indigenous and rural women to own and manage property are inadequate or missing in 30 low- and middle-income countries, according to a new report from Rights and Resources Initiative (RRI). This finding, now quantified, means that much of the recent progress that indigenous and local communities have gained in acquiring legal recognition of their commonly held territory could be built on shaky ground. “Generally speaking, international legal protections for indigenous and rural women’s tenure rights have yet to be reflected in the national laws that regulate women’s daily interactions with community forests,” Stephanie Keene, Tenure Analyst for the RRI, a global coalition working for forest land and resources rights of indigenous and local communities, told IPS via an email interview. Together these 30 countries contain three-quarters of the developing world’s forests, which remain critical to mitigate global warming and natural disasters, including droughts and land degradation. In South Asia, distress migration owing to climate events and particularly droughts is high, as over three-quarters of the population is dependent on agriculture, out of which more than half are subsistence farmers depending on rains for irrigation. “For many indigenous people, it is the women who are the food producers and who manage their customary lands and forests. Safeguarding their rights will cement the rights of their communities to collectively own the lands and forests they have protected and depended on for generations.” said Victoria Tauli-Corpuz, UN Special Rapporteur on the Rights of Indigenous Peoples. “Indigenous and local communities in the ten analyzed Asian countries provide the most consistent recognition of women’s community-level inheritance rights. However, this regional observation is not seen in India and Nepal, where inadequate laws concerning inheritance and community-level dispute resolution cause women’s forest rights to be particularly vulnerable,” Keene told IPS of the RRI study. “None of the 5 legal frameworks analyzed in Nepal address community-level inheritance or dispute resolution. Although India’s Forest Rights Act does recognize the inheritability of Scheduled Tribes and Other Traditional Forest Dwellers’ land, the specific rights of women to community-level inheritance and dispute resolution are not explicitly acknowledged. Inheritance in India may be regulated by civil, religious or personal laws, some of which fail to explicitly guarantee equal inheritance rights for wives and daughters,” Keene added. “Further, the intended beneficiaries of gender-just laws remain unorganised and unaware about them,” she added. 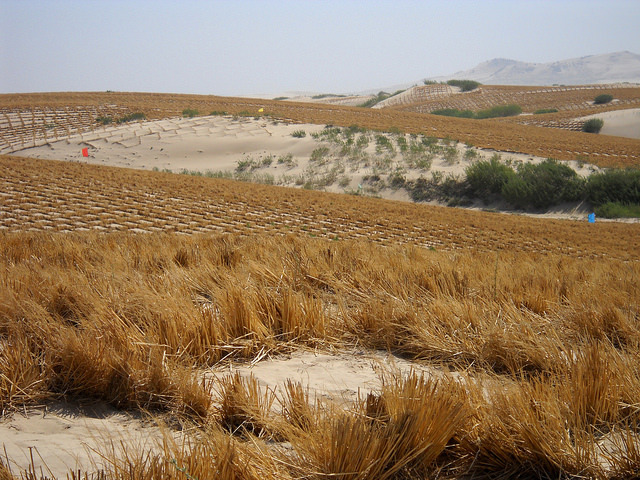 According to the United Nations Convention to Combat Desertification (UNCCD), one way to address droughts that cause more deaths and displaces more people than any other natural disaster, and to halt desertification – the silent, invisible crisis that threatens one-third of global land area – is to bring about pressing legal reforms to establish gender parity in farm and forest land ownership and its management. “Poor rural women in developing countries are critical to the survival of their families. 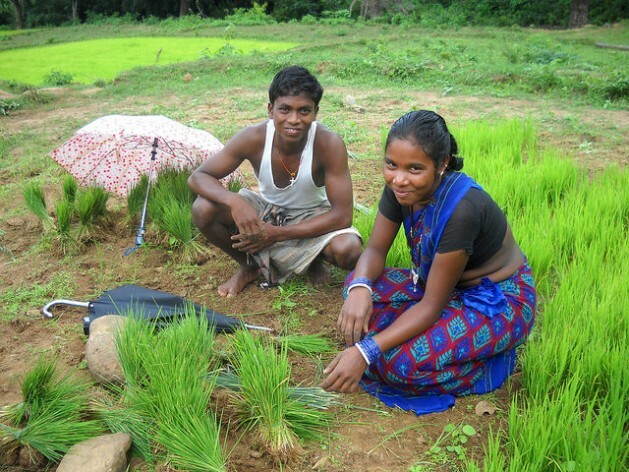 Fertile land is their lifeline. But the number of people negatively affected by land degradation is growing rapidly. Crop failures, water scarcity and the migration of traditional crops are damaging rural livelihoods. Action to halt the loss of more fertile land must focus on households. At this level, land use is based on the roles assigned to men and women. This is where the tide can begin to turn,” says Monique Barbut, Executive Secretary of the UNCCD, in its 2017 study. Closing the gender gap in agriculture alone would increase yields on women’s farms by 20 to 30 percent and total agricultural output in developing countries by 2.5 to 4 percent, the study quotes the UN’s Food and Agriculture Organisation (FAO) as saying. The reality on the ground is, however, not even close to approaching this gender parity so essential for achieving the Sustainable Development Goals 1, 2 and 5 which connect directly with land rights. Climate change is ushering in new population dynamics. As men’s out-migration from indigenous and local communities continues to rise due to fall in land productivity, population growth and increasing outside opportunities for wage-labor, more women are left behind as de facto land managers, assuming even greater responsibilities in communities and households. The importance of protecting the full spectrum of women’s property rights becomes even more urgent as the number of women-led households in rural areas around the world continues to grow. The percentage of female-led households is increasing in half of the world’s 15 largest countries by population, including India and Pakistan. “Unless women have equal standing in all laws governing indigenous lands, their communities stand on fragile ground,” cautioned Tauli-Corpuz. Without legal protections for women, community lands are vulnerable to theft and exploitation that threatens the world’s tropical forests that form a critical bulwark against climate change, as well as efforts to eradicate poverty among rural communities. With the increasing onslaught of large industries on community lands worldwide, tenure rights of women are fundamental to their continued cultural identity and natural resource governance, according to the RRI study. “When women’s rights to access, use, and control community forests and resources are insecure, and especially when women’s right to meaningfully participate in community-level governance decisions is not respected, their ability to fulfill substantial economic and cultural responsibilities are compromised, causing entire families and communities to suffer,” said Keene. Moreover, several studies have established that women are differently and disproportionately affected by community-level shocks such as climate change, natural disasters, conflict and large-scale land acquisitions, further underscoring the fortification of women’s land rights an urgent priority. With growing feminization of farming as men out-migrate, and the rise in women’s education, gender-inequitable tenure practices cannot be sustained over time, the RRI study concludes. 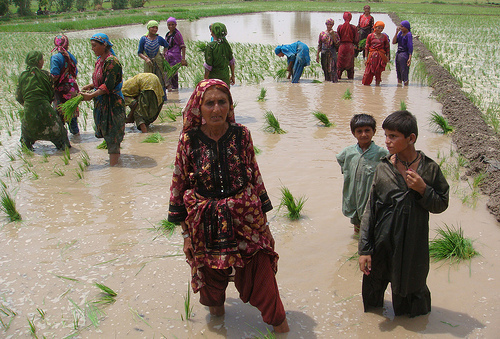 But achieving gender equity in land rights will call for tremendous political will and societal change, particularly in patriarchal South Asia, researchers said.